What are the top issues facing the USMNT ahead of today’s game vs. Jamaica? 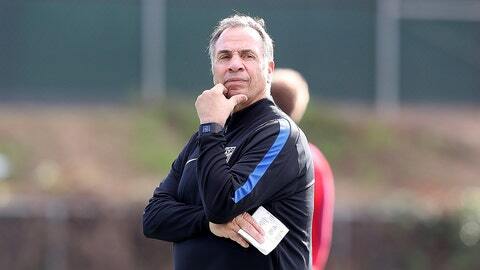 After nearly a decade away, Bruce Arena has been reminded over the past month (in case he forgot) that coaching a national team offers almost none of the continuity available at a club. The opportunity to spend nearly four weeks with a significant chunk of a USA squad that needed to regroup ahead of two critical World Cup qualifiers represented a timely chance to establish some club-like, day-to-day stability. But even then, Arena has faced unique or unexpected upheaval. National team managers should write their plans in pencil. Goalkeeper Bill Hamid and center back Matt Hedges were among those players likely to get a strong January look. Both got hurt. Kellyn Acosta and Gyasi Zardes left with minor injuries as well. Dax McCarty arrived late thanks to his wedding. Jermaine Jones was dismissed early because he’s suspended for the next qualifier. Sacha Kljestan was released ahead of the birth of his second child, and so on. Already pressed to make progress without those players based in Europe or Mexico, Arena must adjust again between the two friendlies closing out camp—last Sunday’s 0–0 draw against Serbia and this Friday’s game against Jamaica in Chattanooga. That will be the last match the Americans will play before hosting Honduras in seven weeks. Arena has said these friendlies likely would offer a tactical preview of March’s qualifiers. And while there were no goals in the Serbia game, there were hints about the direction he’s leaning. But absent the likes of Kljestan, Jones and key players abroad—not to mention the desire to reward those who’ve performed well in camp—Friday’s friendly won’t be anywhere close to a qualifying dress rehearsal. They pretty much never are. It’s become one of the primary tactical questions surrounding the USA, and it’s one Jurgen Klinsmann wan never able to answer. 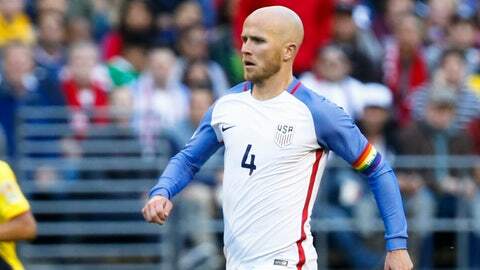 Based on his comments, it seemed apparent to Arena after a couple of days in camp that Jones and Michael Bradley represent the veteran heart of the national team. On that, the new coach agrees with the old. But figuring out how to best deploy the pair is still a work in progress. Klinsmann tried Bradley as a playmaker in a four-man midfield, but that didn’t really work. Bradley wound up doing far too much running and Jones is less effective (and less happy) when limited to a holding role or shunted to one side. A two-man pivot also wasn’t ideal. Either they were in each others’ way or one (usually Bradley) was forced to defer to the other, thereby minimizing the impact of both. If each man plays where he seems to fit best—Bradley as a deep-lying distributor and Jones as a box-to-box dynamo—then a more advanced playmaker is required to facilitate possession and orchestrate the attack. “We need a better passer in the midfield than we have. We need to have a player in the attacking half of the field who can deliver the right ball at the right time,” Arena said after he was hired. No American player made a consistent impact in that role under Klinsmann. And so Benny Feilhaber and Darlington Nagbe (who can play inside or wide) returned from exile and Kljestan became a likely starter. But one solution creates another problem. Jozy Altidore is at his best—and he demonstrated that throughout an effervescent autumn—with a partner who can stretch the opposition with speed or withdraw either to combine quickly or attract some defensive attention. For club, Altidore had Sebastian Giovinco and with country, there was Bobby Wood. When he’s up top on his own, Altidore too often becomes a grinder whose primary role is getting battered while trying to win the ball and lay it off. The connection between scorer and service is strained. It’s exhausting, frustrating work, and Altidore expressed that following Sunday’s game. Arena told reporters Sunday that Altidore can be a “No. 9 type of player” and that “the key with Jozy is getting someone a little closer to him.” In a 4-2-3-1 or 4-3-3, that would be someone in the No. 10 spot or an outside midfielder/winger able to get forward. In Chattanooga, it’ll be a second forward—probably Jordan Morris. Bradley likely will anchor central midfield, leaving Arena with multiple options elsewhere. He could deploy a diamond with Feilhaber as a playmaker or put Bradley in a pivot with Nagbe, McCarty, Alejandro Bedoya or Sebastian Lletget. The big question won’t be answered Friday. But seeing Altidore alongside Morris will give the manager a taste of both options. Meanwhile, a player who might blossom in a four-man midfield will get the chance to impress. McCarty came into camp having not played for his country in six years. It had been three for Feilhaber, and Lletget arrived without a cap to his name. Now, with Jones suspended, one of them very well may start next month. The USA doesn’t have much central midfield reinforcement stationed in Europe, leaving the Jamaica friendly to serve as one last audition. Lletget entered the Serbia game after halftime and showed immediate promise. He’s strong, skillful and proactive, and he helped create two good scoring chances. His late turnover, however, also resulted in point-blank chance that Rimando was forced to stifle. The rising LA Galaxy star is inexperienced at the international level but offers obvious potential. McCarty doesn’t provide the same sort of offensive threat as Lletget, but that may not be necessary in March with the likes of Wood, Christian Pulisic and Fabian Johnson arriving. McCarty is outstanding behind the ball and makes good decisions with it. If a sturdier defensive presence is required, he very well may be the best option. He didn’t play against Serbia—again, he arrived late—but should get a chance on Friday. Feilhaber is a pure playmaker—arguably the best the country has—and showed off some of his skill in a reserve role on Sunday. If Arena is satisfied with what’s behind him, Feilhaber could get another long-awaited chance to pull the strings. The Americans are thin at right back, where DeAndre Yedlin and Timmy Chandler were Klinsmann’s more recent incumbents. Arena will not have worked with either when he opens his pre-qualifier camp. The coach will have seen plenty of Zusi, however, both in MLS and over the past month. Considering Zusi’s accurate delivery and work rate, it made sense to give him a shot in back. 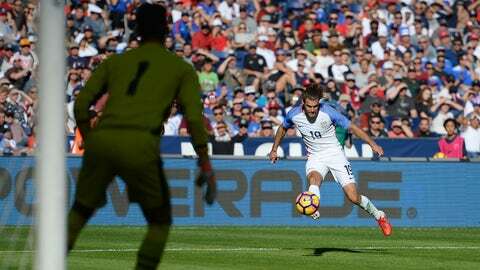 The Sporting Kansas City midfielder started there against Serbia and looked relatively comfortable over the 90 minutes. He should get another go on Friday, and his composure and positioning when facing Jamaica’s speed should be a good indication of whether he’s an option next month. Even if Yedlin remains the first choice, depth is essential and Zusi offers something different that might be preferable against certain opponents. On Friday, he’ll face a Jamaica team that likely will be more direct than Serbia, giving him an opportunity to face a different challenge and get more confident and comfortable in a new but important role.